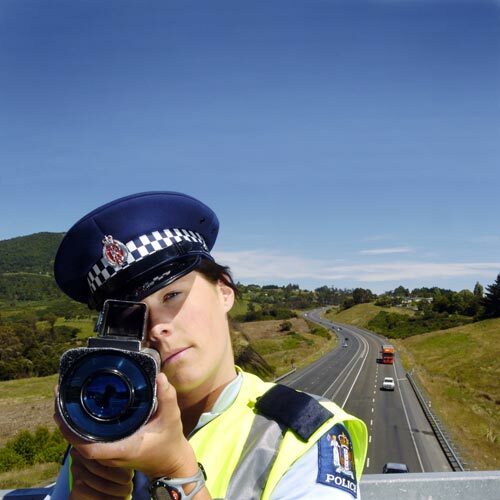 A Dunedin police officer uses a speed-measuring laser device to check motorists on the city's southern motorway in 2009. Until 1992 monitoring and enforcing speed limits was the responsibility of the Ministry of Transport's Traffic Safety Service (generally called 'traffic cops'). In that year the service was merged with the New Zealand Police.